Revealed: Shah Rukh Khan's Name In Imtiaz Ali's Next And It's Exciting! Home BOLLYWOOD Revealed: Shah Rukh Khan’s Name In Imtiaz Ali’s Next And It’s Exciting! Revealed: Shah Rukh Khan’s Name In Imtiaz Ali’s Next And It’s Exciting! [tps_footer]As we all know Bollywood actor Shah Rukh Khan has begun with the shooting of Imtiaz Ali’s next ‘The Ring‘ opposite Anushka Sharma. The film created a much of hype before the shooting started in Prague on Sunday. Each and everyone was curious to know about SRK’s role and much more about the film. As soon as on sets pictures from Prague made ways on the Internet, fans went crazy. The actor looked hot yet dapper in all suit up attire, leaving fans crazy. But aren’t you excited to know about Shah Rukh Khan’s role and his onscreen name in the film? 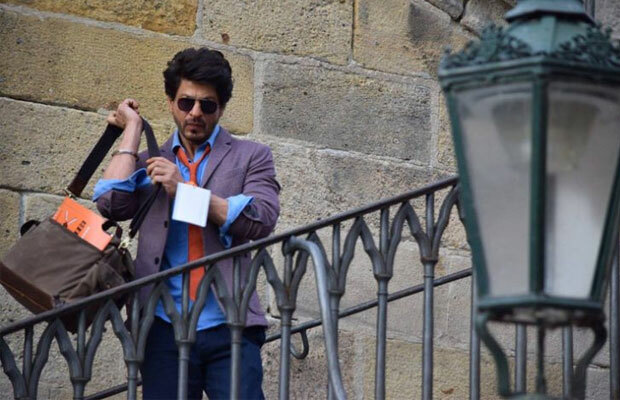 Well, King Khan plays a role of a Punjabi man who is a guide on a Europe tour. SRK’s character’s name is Harinder Singh Nehra. Sounds interesting! The story is about how SRK falls in love with Gujarati girl Anushka Sharma. Well, not much has been known about the film but we are sure Imtiaz Ali is going to get his best once again with a rocking pair of Bollywood. Reportedly, the shooting of the film will be shot in Europe and Punjab. The major part of the film will be shown in Europe and later in Punjab. Well, we are very much excited about this film, are you? Next articlePhotos: Here’s What Happened When Deepika Padukone Met Her Younger Self!